to Saranda city (Albania) and organized tours. We look forward to welcoming you on board for a pleasant journey.  Ionian seaways in association with Finikas Lines operates a fleet of 3 different types of ships for the line service between Corfu (Greece) and Saranda (Albania). The fleet consists of 3 Flying Dolphins (High Speed Crafts), 2 Car Ferry Boats and 1 Passenger Ship. Our ships and the 50 years of experience, guarantee quality services, comfort, speed and safety, with respect to the environment and to our clients.